Owing to our vast experience, we have been successful in catering to the requirements of our esteemed clients by offering quality Tomato Powder for Food Industry. Our offered product line is widely used to process chutneys and pickles. It is hygienically process using fresh tomatoes and is highly applauded for freshness, purity and long shelf life. These are available in different packaging options at most affordable prices. 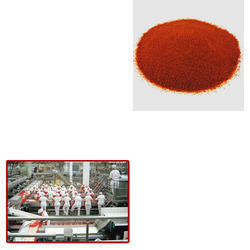 Looking for Tomato Powder for Food Industry ?